Using essential oils to treat bloating works amazingly well and you can also try other natural remedies to get similar benefits. Know how to do it here! 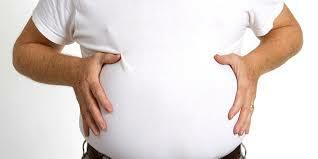 Bloating can make you feel extremely uncomfortable, and of course, it makes you feel fatter than you really are. Most people feel bloated when they eat certain foods, but it can hit you at times when you really want to look at your best. You can try many different things to avoid being bloated all the time, and that is when you can consider making use of essential oils for bloating. Let's find out more about which oils work effectively and how you need to use them. Overeating – You are going to feel bloated when you eat too much. The simple solution is to cut your portion size. Moreover, keeping your portion size small is not going to help when you start eating more often. Fatty Foods – You are likely to feel bloated when your diet includes processed or fatty foods. Ensure you do not have fast food in your diet and there is as little gluten in your diet as possible. You can still include foods rich in healthy fats, like salmon in your diet. Eating Quickly – You need to take your time to swallow your food. Do not eat too fast or else you will be eating more than you need and may even be gulping excess air that will make you feel bloated later. Smoking – You may have to deal with heartburn, bloating, and many other digestive problems when you do nothing to quit smoking. Once you have identified the underlying cause of bloating, it is easier to find a solution. While you can try different remedies, you may benefit a lot by using essential oils. Here are some recommendations. 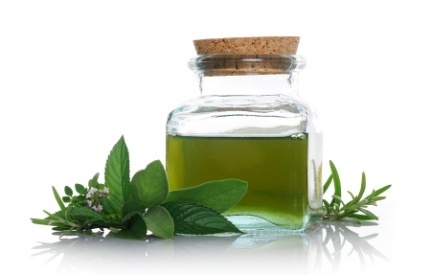 Peppermint oil is beneficial not only to treat bloating but also to treat other health conditions such as irritable bowel syndrome, indigestion, gallbladder disease, stomach disorders, liver fatigue, diarrhea, intestinal disorders, and menstrual cramps. It helps with bloating because it contains eugenol and thymol that maintain a balance between intestinal and oral flora, which in turn reduces fermentation of undigested food. It has antispasmodic properties that help treat IBS symptoms. You can diffuse peppermint oil to make breathing easier and improve your symptoms. Just get a diffuser and add a small amount of oil to it. Alternatively, you can mix 5 drops of peppermint oil with a tablespoon of olive oil or unrefined almond oil and apply it on your skin to enjoy some amazing effects. You may also use it to massage over your lower abdomen and your lower back to relieve digestive stress and back pain. The presence of polyphenol and flavonoid antioxidants makes juniper berry oil one of the best essential oils for bloating. It helps eliminate free radicals form your body to improve your overall health. It also has antibacterial, antioxidant, and antifungal properties that make it a great choice to improve blood circulation, heal skin conditions, increase urine elimination, and detoxify your entire body. By eliminating excess fluids from your system, it reduces bloating and improves your digestive health. You can use it in many ways. A simple way is to diffuse it throughout your home the way you use a scented candle. You may also enjoy its good effects by inhaling it directly from the bottle. Alternatively, you can dilute it with carrier oil and massage your abdomen to reduce bloating. 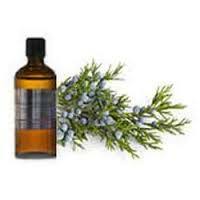 If you can find therapeutic-grade juniper berry oil, you can also take it orally to reap amazing benefits. This carminative herb helps relieve bloating, gas, and cramps. It makes it easier to expel gas from your digestive tract. Thanks to its antibacterial and anti-inflammatory properties, it also helps relieve bloating, abdominal pain, and other digestive problems. 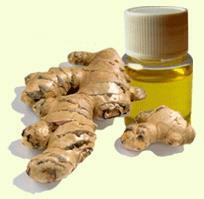 You can take a couple of drops of liquid ginger with water to reduce bloating. It proves extremely effective when you feel bloated before a heavy workout. You may also consider applying it on your bloated tummy for relief. It works by reducing bowel inflammation. Regular use may also ease cramping pain. 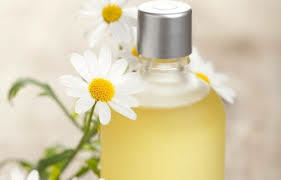 You can rely on chamomile oil to make it easy to eliminate gas in the intestines. Apply it directly on your skin to relieve bloating. It is among the finest essential oils for bloating that works great to reduce cramping, abdominal pain, and IBS symptoms, such as constipation and diarrhea. You can apply the oil on your bloated tummy, but be sure to do it at night because it can interact with sunlight and cause complications. 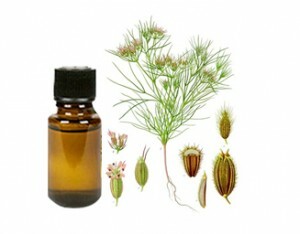 Do not use cumin essential oil if you are pregnant. Along with using essential oils for treating bloating, you can find many other natural remedies that work equally well. You can always try the following to relieve gas and bloating. 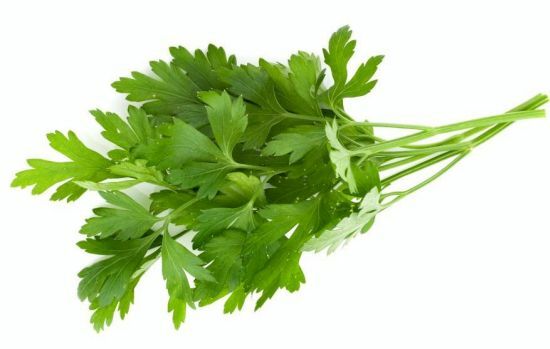 By improving digestion, parsley helps settle the gas and keep you from feeling bloating. You can make parsley tea or simply add parsley in salad to enjoy some amazing benefits. 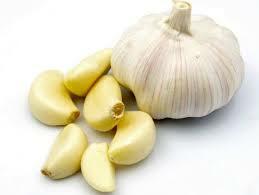 By stimulating your gastric system, garlic serves as one impressive remedy for bloating and gas. You can also find garlic supplements but it is better to eat fresh garlic. A cup of warm garlic soup will work wonders to relieve bloating. 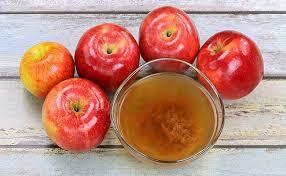 You can always make use of apple cider vinegar to treat your stomach problems. Not only does it cleanse your colon but it also promotes digestion and eliminates harmful bacteria from your system. Mix two tablespoons of apple cider vinegar in a glass of warm water and drink it slowly for instant relief. The combo of lemon and baking soda works even better than essential oils for bloating. The combo forms carbon dioxide in the body that promotes digestion and alleviates symptoms of bloating. 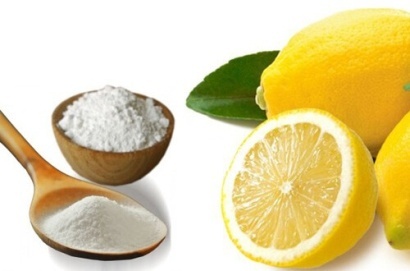 Simply add a teaspoon of baking soda to a glass of water and squeeze a lemon in it as well. Drink it slowly for relief. Why Does It Hurt Above My Left Hip?